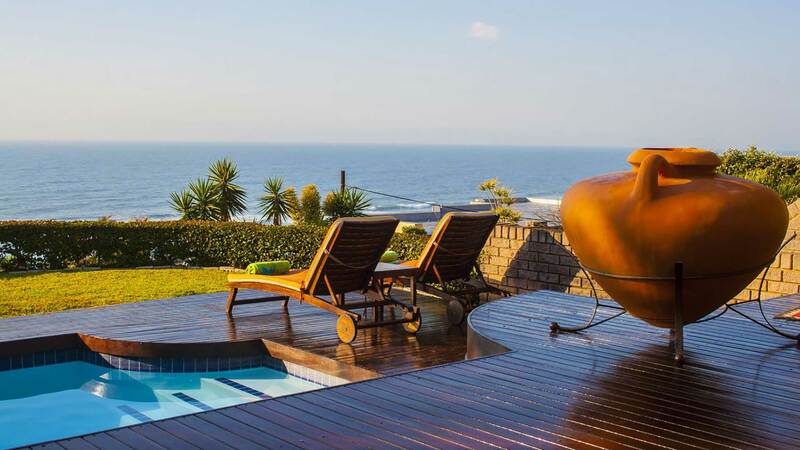 Burnham House is positioned over the warm Indian Ocean, in the sub-tropical town of Umhlanga, South Africa. It commands a splendid view of the Indian Ocean, and the village of Umhlanga Rocks is only 2 kms away to find shops and a restaurant for anyones taste. Umhlanga Beach can be reached within only 5 minutes and King Shaka International airport is only 10 minutes away. It is a comfortable home where guests are most welcome to relax in the comfortable lounge or by the lovely pool deck with its breathtaking view. Burnham House is substantial and modern. It stands in its own garden and enjoys its own secure parking with night guard.